Again paytm is back for Get upto 100℅ Cashback when you pay with paytm at petrol pumps .So grab this loot offer right and Hurry up for the follow below steps. Pay at petrol pumps with Paytm wallet using the QR code. Ones the payment is made,you will receive Cashback within 48 hours. 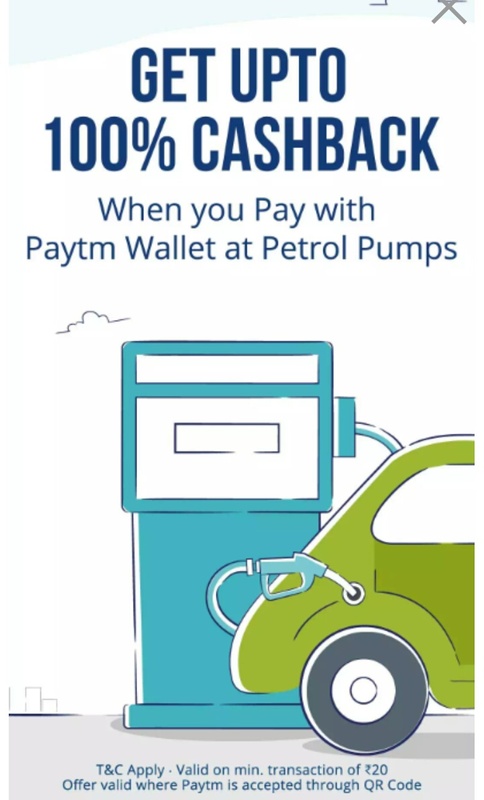 Get upto 100℅ Cashback when pay with Paytm using QR code at petrol pumps. Maximum Cashback Rs 50. 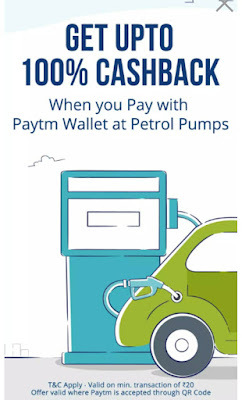 What you get : Get upto 100℅ Cashback when pay with Paytm using QR code at petrol pumps. Maximum Cashback Rs 50. Cashback applicable on 1 transaction per day. Cashback will be credited within 48 hours. Customer can avail cashback on maximum 2 transactions during the campaign period. Maximum cashback applicable is Rs.50. Participation in this campaign is valid till 28th Feb 2017 till 23:59 hours. Cashback amount can vary from Re.1 to Rs.50.